It is indisputable that we are negatively affecting our air, soil and water in a way that is drastically impacting the earth itself. If you look down while on an airplane, you can’t help but notice the vast exposure of soils into perfectly-carved squares below. These exposed soils are a tragic sign of an unsustainable practice that leads to erosion, runoff pollution while also decreasing soil organic matter and impacting our air quality. Please use my search engine to find previous interviews with experts like Gabe Brown, Joel Salatin, Will Harris or other articles related to regenerative agriculture. Agriculture has undergone massive changes over the past several decades. Many of them were heralded as progress that would save us from hunger and despair. Yet today, we’re faced with a new set of problems, birthed from the very innovations and interventions that were meant to provide us with safety and prosperity. For decades, food production has been all about efficiency and lowering cost. We now see what this approach has brought us — skyrocketing disease statistics and a faltering ecosystem. Fortunately, we already know what needs to be done. It’s just a matter of implementing the answers on a wider scale. We need farmers to shift over to regenerative practices that stops depleting our soil and fresh water supplies. Frustratingly, farmers are often held back from making much needed changes by government subsidy programs that favor monocropping and crop insurance rules that dissuade regenerative farming practices. Will American Farming Create Another Dust Bowl? The Great Depression of the 1930s was tough for most Americans, but farmers were particularly hard hit. Plowing up the Southern Plains to grow crops turned out to be a massive miscalculation that led to enormous suffering. As noted by bioethicist George Dvorsky in a recent Gizmodo article,  research  suggests modern agricultural methods cannot protect us from a repeat of those devastating conditions. “Researchers Michael Glotter[, Ph.D.,] and Joshua Elliot[, Ph.D.,] from the University of Chicago ran computer simulations to predict the effects of a Dust Bowl-like drought on today’s maize, soy and wheat crops. ‘We expected to find the system much more resilient because 30 percent of production is now irrigated in the United States, and because we’ve abandoned corn production in more severely drought-stricken places such as Oklahoma and west Texas,’ noted Elliott in a press release. ‘But we found the opposite: The system was just as sensitive to drought and heat as it was in the 1930s,'” Dvorsky writes. Is the U.S. about to face another dust bowl episode? According to simulations, if the U.S. were to experience the same kind of drought as in 1936, we’d lose nearly 40 percent of the commodity crops grown today. The best-case scenario? If rainfall remained normal, a 4-degree increase would result in the same kind of losses experienced in the 1930s, meaning we’d lose 30 to 40 percent of our crops. “Given recent predictions  that parts of the U.S. could soon experience ‘megadroughts’ lasting for as long as 35 years (yes, you read that correctly), these results should serve as a serious wake-up call,” Dvorsky writes. The effect reindeer grazing can have on albedo and energy balances is potentially large enough to be regionally important. It also points towards herbivore management being a possible tool to combat future warming. Most of the Arctic tundra is grazed by either domesticated or wild reindeer, so this is an important finding. Even if regenerative agriculture cannot completely solve all of our issues, it’s still the only way forward, as factory farming makes everything worse. It’s important to realize that agriculture has a significant impact on life on Earth. Not only does it provide us with food, it’s also an integral part of the ecosystem as a whole. Done correctly, it supports and nourishes ALL life, not just human life. Forty percent of the world’s agricultural soil is now classified as either degraded or seriously degraded; the latter means that 70 percent of the topsoil is gone. Soil degradation is projected to cause 30 percent loss in food production over the next 20 to 50 years. Meanwhile, our global food demands are expected to increase by 50 percent over this span of time. It is the separation of crops and animals into two distinctly different farming processes that has led to animal waste becoming a massive source of pollution rather than a valuable part of the ecological cycle. Agriculture accounts for 70 percent of our fresh water use. When the soil is unfit, water is wasted. It simply washes right through the soil and past the plant’s root system. We already have a global water shortage that’s projected to worsen over the coming two or three decades, so this is the last thing we need to compound it. On top of that, concentrated animal feeding operations (CAFOs) are a major water polluter, destroying what precious little water we do have. Tyson Foods Inc. is among the worst, releasing 104.4 million pounds of toxic pollutants into waterways between 2010 and 2014; second only to a steel manufacturing company. The efficiency model of large-scale industrialized agriculture demanded a reduction in diversity. Hence we got monoculture: farmers growing all corn, or all soy, for example. Monoculture has significantly contributed to dietary changes that promote ill health. The primary crops grown on industrial farms today — corn, soy, wheat, canola and sugar beets — are the core ingredients in processed foods known to promote obesity, nutritional deficiencies and disease. Agricultural overuse of drugs, especially antibiotics, has led to the development of drug-resistant disease,  which has now become a severe health threat. Pandemic outbreaks are also becoming more prevalent in CAFOs, revealing the inherent flaws of industrialized animal farming. The rapid spread of new disease strains … is one very visible reason why the expansion of factory-style animal production is viewed as unsustainable. According to research  presented at the 2016 American Heart Association’s Epidemiology meeting, reducing the price of fruits and vegetables by 30 percent could save nearly 200,000 lives over 15 years by lowering rates of heart disease and stroke. If people added just one additional serving of fruits and vegetables a day, up to 3.5 million deaths from heart disease could be prevented in just two years. Industrialization led to the separation of crops and livestock farming into two different specialties. That change alone has done tremendous harm, as livestock are actually a core component of regenerative agriculture. As a result, a whole host of land maintenance services that animals serve for free have had to be replaced with chemical and mechanical means — all of which have detrimental effects on human health and the environment. Around the world, farmers are waking up to the many adverse effects of industrialized agriculture. While chemicals and machines have allowed farms to expand and increase production, there’s growing awareness about how these strategies harm the soil, ecology and, ultimately, human health. As a result, a growing number of farmers are transitioning over to more sustainable and regenerative methods that do not rely so heavily on chemical and technological means. While regenerative strategies may appear “novel” to born-and-raised city slickers, it’s really more of a revival of ancestral knowledge. In the video above, Dr. Joel Gruver demonstrates sustainable agriculture techniques taking place at Allison Farm, the largest organic research farm in Illinois. Regenerative agriculture — which includes strategies such as crop rotation, diversification, cover crops, no-till, agroforestry and integrated herd management — can help rehabilitate land turned to desert, improve water management and protect water quality. 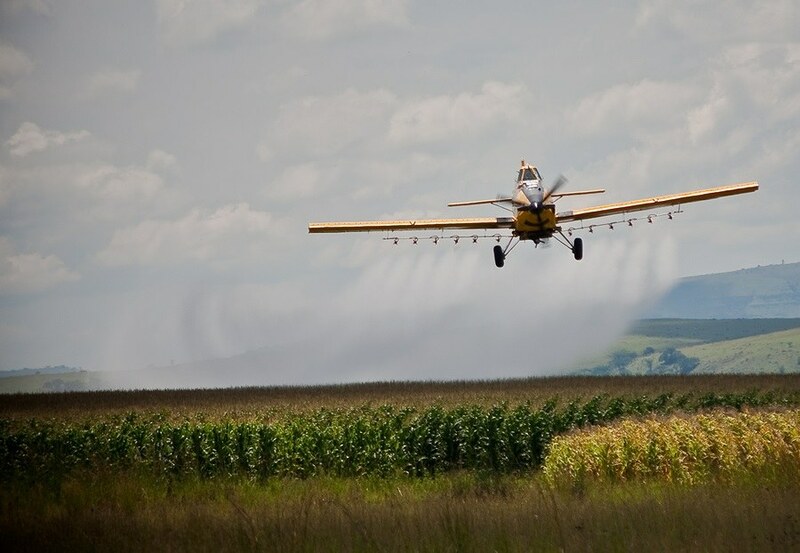 It also eliminates the need for toxic fertilizers and other agricultural chemicals, and reduces greenhouse gas emissions like carbon dioxide and nitrous oxide. Importantly, by improving soil quality, regenerative farmers can produce more nutrient-dense foods. Insurance rules require cover crops to be completely killed off before the market crop is planted. In this case, high winds had prevented Gail Fuller, a farmer in Texas, from successfully killing off the cover crops before planting his corn, soy and barley. When a serious drought in 2012 destroyed a good portion of his crops, the insurance refused to pay because he’d failed to destroy the cover crop. Indeed, fear of losing their crop insurance is a major reason why many farmers don’t use cover crops, despite the environmental benefits. Pioneers in soil regeneration, or carbon farming, bear proud testament to a substantial list of potential benefits of carbon-rich soils. Such lands are more drought-resistant, they mitigate flooding when those around them are under water, support more wildlife and beneficial insects, restore natural stream flows, retain nutrients, reduce the number of pests, weeds and crop diseases and produce more nutritious food, all at lower input costs, which means higher profits. If we continue with our chemically-dependent farm business as usual, we can expect crop productivity to fall as soils are depleted and as raw resources become more costly, more scarce and more undependable, as overall production costs rise in concert with oil prices … It’s time to start demanding support for carbon farming to rescue our agricultural and privately owned natural resource lands from systemic collapse. Science Daily  recently reported how brownfield sites, “those unloved areas of stony rubbish usually dismissed as wasteland,” could be a valuable tool in the effort to lower atmospheric Co2 levels. As explained in the article, soil is a major reservoir for carbon. In the soil, carbon promotes soil fertility and health; in the air, it is a greenhouse gas thought to contribute to global weather alterations. The U.K. has 1.7 million [hectares] of urban land. If only 700,000 [hectares] of this was managed proactively it could meet 10 percent of the U.K.’s annual CO2 reduction target. They also surveyed the sites’ plant and animal life, as well as their potential for recreation, education and food production — and again came up with fascinating findings … ‘We found that carbonation is widespread on brownfield soils, and that these soils can also support a diverse range of plants. We recorded more than 180 plant species on the 21 sites,’ Goddard says. The results have important implications for how we develop our gardens — as well as our towns and cities. The SUCCESS project team is now engineering artificial soils to capture as much CO2 as possible, and conducting experiments to find out which plants are best at channeling carbon from the atmosphere into the soil via photosynthesis. If successful, they will be able to recommend designer plant communities that maximize carbonation as part of ‘carbon capture gardens’ — urban green spaces that soak up CO2 as well as being places for recreation and wildlife. Applying crushed silicate rock to their land is another method farmers could use that would encourage greater carbon sequestration. The rock would also release phosphorous, potassium and silica, which are important minerals for healthy plant growth. There are serious drawbacks to such a scheme, though. For starters, it would require major mining operations and transportation. In addition to the environmental destruction associated with mining, it would also add to carbon emissions. What we really need are environmentally friendly carbon neutral or carbon negative solutions, and regenerative farming fits the bill, solving not just the problem of carbon sequestration but also many others. One way to improve your diet and promote a more sustainable food system is to grow some of your own food. During World War II, 40 percent of the produce in the U.S. was grown in people’s back yards in so-called “victory gardens,” and this trend has started taking root once again. If you’re unsure of where to start, I recommend starting out by growing sprouts. Broccoli, watercress and sunflower sprouts are foods that virtually everyone can and would benefit from growing. It’s inexpensive, easy and can radically improve your overall nutrition. If you’re fortunate enough to have your own home and some land, you can start to rebuild your own topsoil. Simply applying biomass will convert to soil in a few years. Over the past three years, I have added about a million pounds of wood chips on my property from local tree removal services, and plan on doubling that. The chips need to be finely ground and ideally have some leaves in the mix to balance the carbon to nitrogen ratio. Even then it will take a few years for the chips to convert to soil with high levels of humates. It is also important to never plant directly into the chips, only below them. The chips and mulch help retain the moisture and decrease water requirements. My interview with Paul Gautschi, master arborist and gardener for more than half a century, goes into even more details. Another way is to join a community supported agriculture (CSA) program. As a CSA member, you basically buy a “share” of the vegetables the farm produces, and each week during growing season (usually May through October) you receive a weekly delivery of fresh food. Joining a CSA is a powerful investment in your local community and economy, as well as your own health. Thriving CSAs can help revitalize a community and allow residents to form strong bonds with the farmers who grow their food. It’s also really helpful for the farmer, who is able to collect money needed to seed, sow and harvest up-front. Alternatively, buy as much food as you can from your local farmers or farmers market.